Do you know which traffic source is giving you the most leads or the best quality leads? If you don’t track your leads, you should start right now with a simple step in your auto-responder. As I am using GetResponse, I am going to show you how to track your leads with GetResponse. If you don’t have an account, register with a $30 coupon, click here. 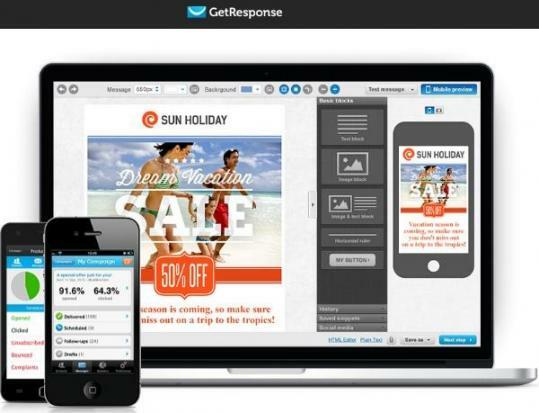 How to Track your Leads with GetResponse. There are two different ways to track your leads: placement of the web form or traffic. If you don’t know how to create web forms in GetResponse, read this detailed tutorial. On a regular website or a blog what you need to know is which placement, design or headline brings you the leads. The traffic in that case is website or blog traffic generated by search engines and other general free traffic. For free or paid traffic campaigns the traffic needs to be directed on a specific landing page with a web form instead of the home page of the site. It is not about placement on the page any more, but the overall page in itself. For that purpose, we create landing pages with a web form that we call “squeeze page” or “capture page“. Assuming that you have a squeeze page that has been split tested and is converting, you will now duplicate this page and use a different web form on each of them. Each squeeze page is going to be used for a different kind of traffic. One for CraigList postings, one for BackPage postings, one for XYZ PPC network, one for a particular media buy, etc‚… This way you can see how many visitors/clicks you got for each source on each sqeeze page in your web analytics and the number of lead in your GetResponse account. In order to know the traffic source for each web form you use, you have to add the Track Web Form Users (ref) located on the “Settings Tab” of your web form. 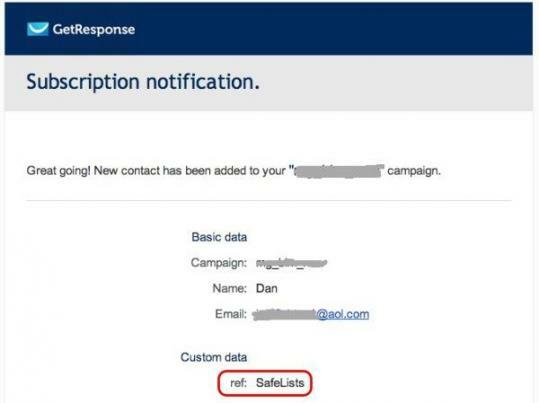 In this example I labeled “Safelists” and this form will be used on a squeeze page promoted only in Safelists. 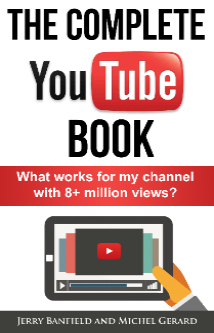 When I receive the Lead notification of a new subscriber, I will see where it comes from. In GetResponse each Lead will have the same data attached. If you want to track leads for 50 different Safelists, it will not be very efficient to create 50 squeeze pages with 50 different web forms. For this purpose, I would have one Squeeze page with one web form labeled “Safelist” and use a tracking software like Prosper 202 or Conversion Prophet.